From Weibo to WeChat to RenRen, Asia has a counterpart for almost every Western social media platform. For Snapchat, this is Snow, an app owned by Korean tech giant Naver. It first came to wider attention last October when Facebook made an unsuccessful attempt to buy it. At the time, Naver, who also developed the chat app Line, was valued at $25 billion, and Snow itself had been downloaded some 80 million times. Now, only a few months later, Naver are claiming that it's crossed the 100 million mark, with 50% of its users active on it every month. That's impressive even before you find out that Snow has only been active for about a year. Even at that rate it's going to take them a while to hit Snapchat's muscular figures, but from the growth rate alone, it's obvious why Facebook were so interested. China remains the largest user market to elude the West, but Korea isn't far behind it. 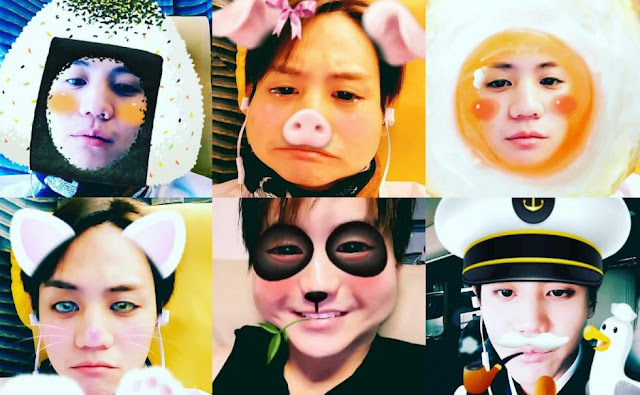 The valuation of the app will likely continue to increase exponentially, and much like Snapchat, the roster of filters and other features on offer continues to expand with each new update. Snow is also available in China, where Snapchat has been completely blocked. Naver is well aware of their local market appeal, which is why swathes of Asian celebrities are active on Snow, further widening the divide between Eastern and Western social media markets. Facebook would obviously probably rather that the whole market was amalgamated, but if current trends are anything to go by, that's a pipe dream.